Project Size: 2,821 sq. ft. 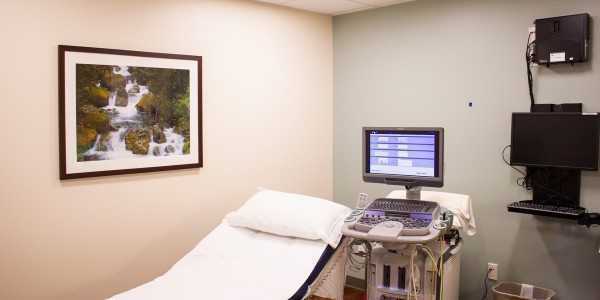 Constantly striving to deliver state-of-the-art health care services, medical facilities require regular clinic up-grades to keep up. 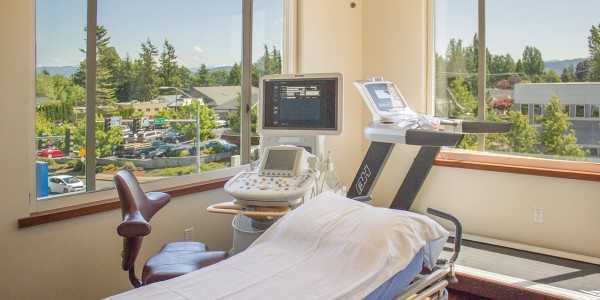 So it is with Northwest Medical Center, a three-story building adjacent to Peace Health’s St. Joseph’s Hospital in Bellingham, Washington and home to several medical practices supporting hospital services. 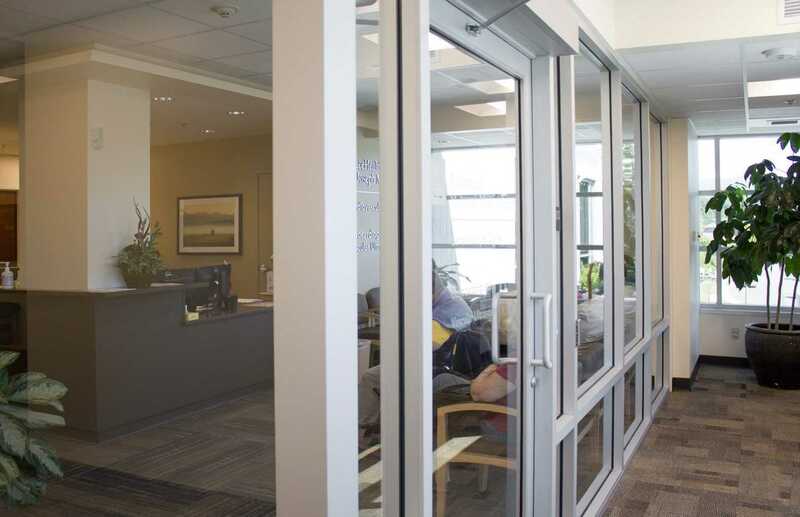 For more than ten years Fisher Construction Group has been the design | builder for SEBCO Development, the building owner. 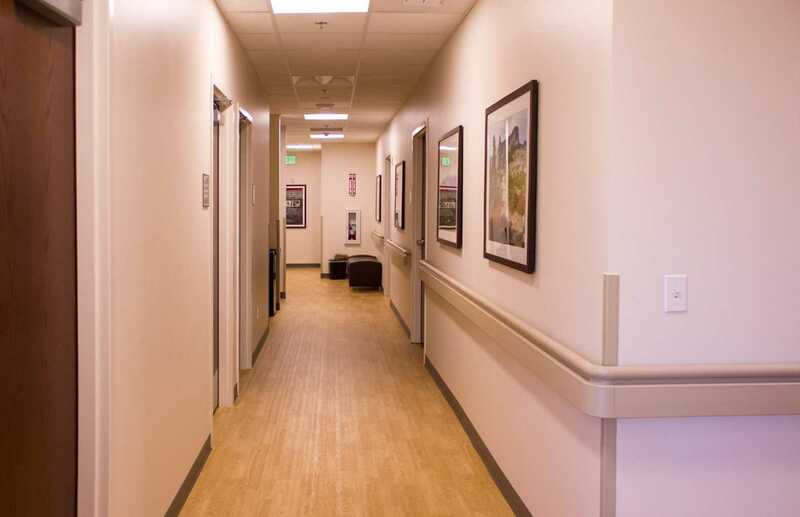 Fisher’s team has renovated the exterior, installed a parking lot and completed multiple medical suite improvements. 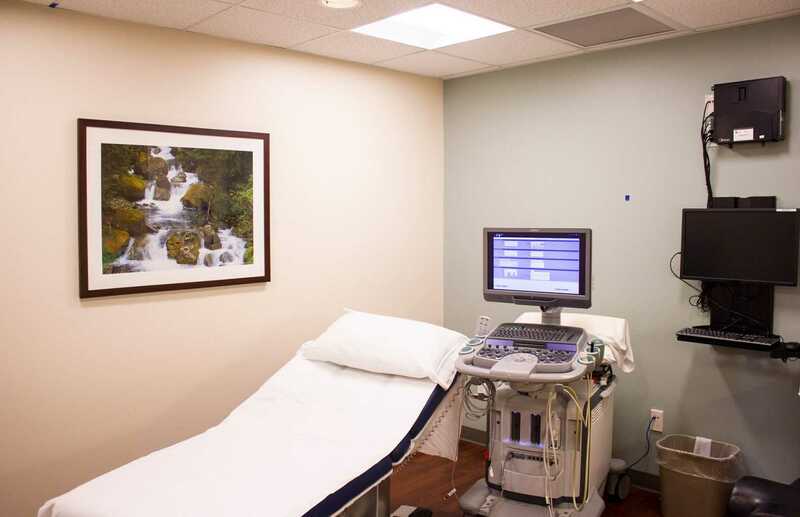 This latest TI created a cardiac diagnostic suite for echocardiography and vascular ultrasound. 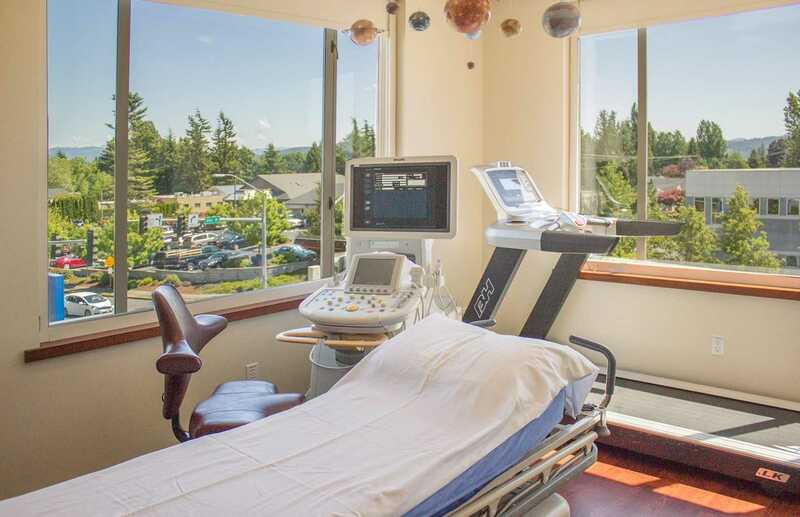 Fisher’s design team worked closely with the cardiovascular staff to design a peaceful, patient-centered environment tailored to the needs of cardiovascular testing. 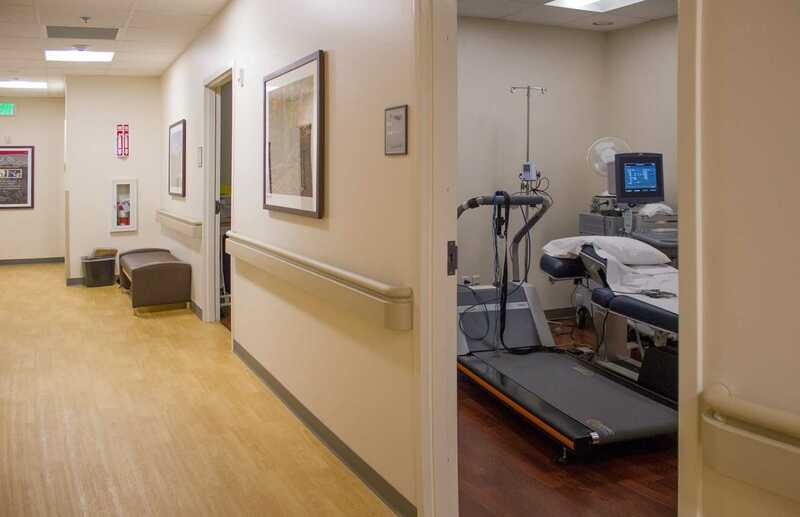 The stress-test rooms with treadmills have lots of natural light with privacy shades. 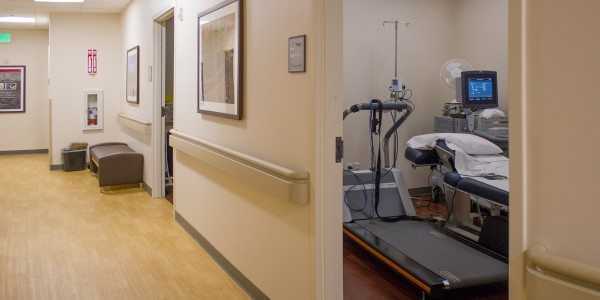 Recognizing the varied needs of the Center’s patients, the improvements included a bariatric restroom with block and backing to support fixtures and casework rated to 1,000 lbs of impact weight. 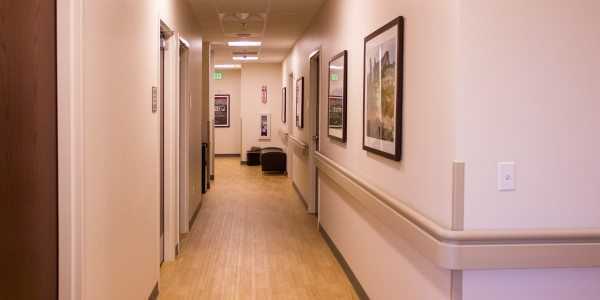 Throughout the project, Fisher’s construction team worked to keep the facility safe for patients as they made their way to appointments in adjoining office suites. At times, the work was performed after-hours to minimize overall impact. 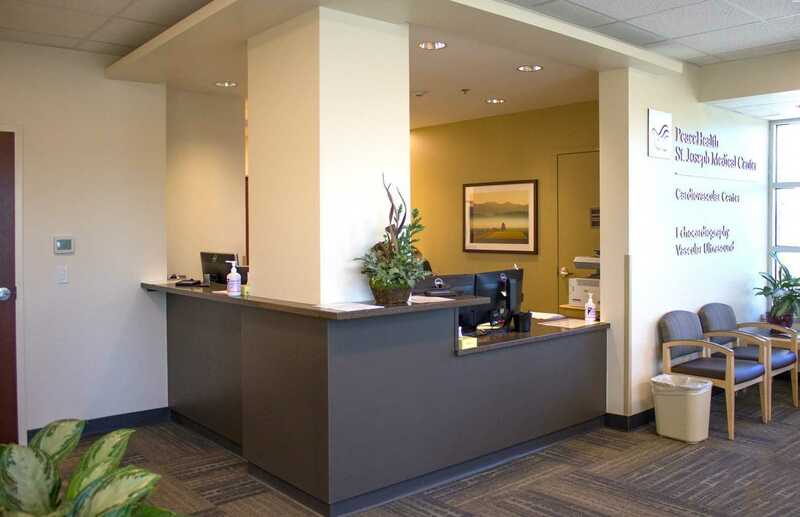 The suite renovation took three months and included a storefront entry and reception area, five patient testing rooms, and two tech work areas.